If you wish to gift something to your loved ones in a non-cash format, most popular formats so far were flipkart vouchers, Amazon or shoppers Stop vouchers etc. 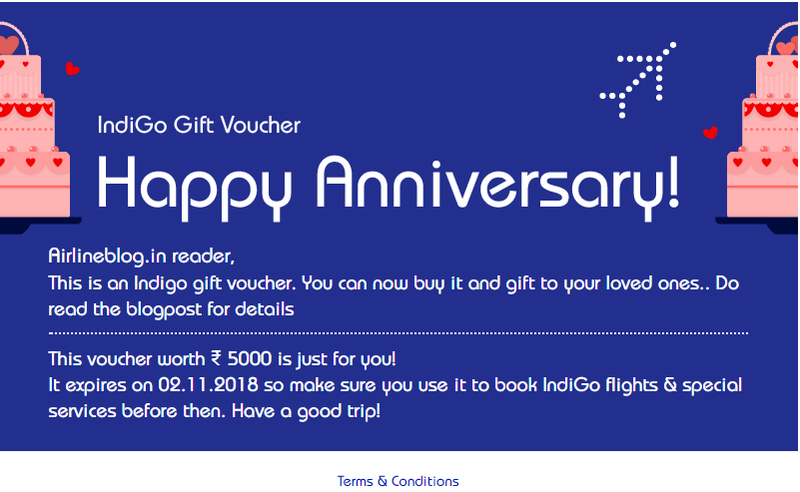 Now you can gift a flight to your loved ones. Indigo has introduced Indigo Gift Vouchers- which you can buy, add a customized message and send to your loved ones, who can use this for flight bookings. No partial redemption allowed- Entire coupon needs to be consumed in one transaction. If ticket amount is less than coupon amount, entire coupon amount will be consumed. It is not very clear what happens in case ticket booked through this coupon needs to be cancelled.